Serving children from 18 months through 4 years of age. Believing that the first five years of a child's life are crucial to their development, we realize that a positive preschool sets the tone for years to come. 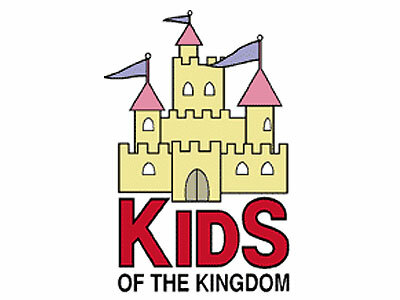 Kids of the Kingdom Preschool will provide a wholesome, nurturing environment that will meet the needs of each child's spiritual, social, emotional, cognitive and physical growth. Our Christian ministry will plant the gospel in the hearts and minds of the children at KOK so that they might know the love God has for them in Christ Jesus. To accomplish this goal we have weekly chapel times with the Pastors of Lord of Life or the Director or Assistant Director of Family Faith Formation, as well as Bible lessons and daily prayers. We are dedicated to promoting the development of the whole child, as we encourage positive self-esteem and individuality, while fostering respect for others and the world around us. Staff at Kids of the Kindom are hired for their love of childen as well as their experience and training in early childhood education. All of our staff keep up to date on current ideas and teaching techniques by attending at least 24 hours of training each year. Every staff member is CPR and First Aid Certifited. We do a fingerprint criminal history check upon employment as well as yearly background checks using social security and driver's license numbers. Please feel free to stop by for a tour or give us a call. We would be happy to show you around our facility or chat with you on the phone.